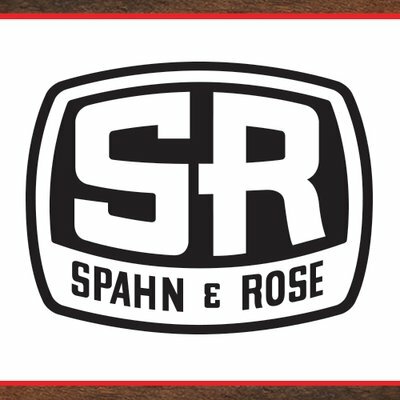 Dubuque, Iowa, 2018-Jul-23 — /EPR Construction News/ — Spahn & Rose has been named as one of the top 100 lumberyards in the country, according to ProSales, a newsletter that reports on contractor and construction industry trends. Leading UK double glazing specialists Malbern Windows can now provide its customers with a range of state-of-the-art vertical sliding windows. The windows, which have been carefully designed and produced by Synseal, use modern technology to deliver high-quality security and insulation while also being an eye-catching addition to any home. The new vertical sliding windows can be installed in homes throughout the North West and combine modern technologies with traditional styling. With a new-take on the Victorian sash windows, these vertical sliding windows are ideal for both period properties and new builds. The windows boast excellent high energy efficiency and have even been recommended by the Energy Saving Trust, which fits in nicely with Malbern Windows’ energy efficiency policies. There are nine colourways for customers to choose from, all of which are available from Malbern Windows. Choose from woodgrain white, cream woodgrain, Irish oak, golden oak, cherrywood, golden oak on white and cherrywood on white. As with all products sold by Malbern Windows, the new windows have high security features that will help in protecting your home from burglars and intruders, thanks to robust locking mechanisms on every window. Not only this, but the windows are also incredibly easy to maintain, meaning customers won’t have to worry about repainting or varnishing. The vertical sash windows use uPVC materials over timber frames, which allow them to withstand weathering. The windows also have multi-tilt features that help with cleaning and maintaining throughout the year. To find out more about the windows and other products available through Malbern Windows, visit www.malbernwindows.co.uk now. Todd Doors, who specialise in supplying high quality timber doors around the UK, have unveiled a brand new collection for 2012. The range, which compromises of a variety of door products including French doors, doors with sidelights and sliding doors, is set to make the pulses of every home owner and interior designer racing. Not only is the collection new but it also contains massive price reductions, ensuring that every home owner can get the door that it right for them. Choosing a door might sound easy but it is actually incredible difficult. Ideally, the room should complement the door. Offering doors at such a high quality, this is no problem at Todd Doors. The only problem will be choosing the preferred one! Todd Door’s brand new collection for 2012 is populated by a grand selection of oak doors. A popular wood for both interior and exterior doors, oak is proven to stand the test of time and is beautiful in colour. Choose the Biarritz Oak door (was £466.80, now £350.10), complete in satin lacquer or maybe opt for the Catalunya Oak door (was £310.80, now £233.10) as a stunning finale to a lounge that celebrates trend setting styles. For a touch of grandeur, try the Catalunya Walnut door (was £346.80, now £260.10) which is darker in colour, adding real depth to a room. Glazed doors are a great way of allowing more light into a room and can connect a home’s rooms together. Todd Doors offer a range of glazed doors, from the single full-length pane which offers a maximum amount of light and shadow to permeate through, to multi pane doors. These doors are great for kitchens and bathrooms alike. Try the Spanish-inspired Zaragoza Walnut & Wenge door (was £550.80, now £413.10) for some Iberian charm or, for a lighter feel, the Faro Oak door (was £394.80, now £296.10). All Todd Doors interior and exterior doors are produced from the very best timber, real wood veneer and man-made materials. For this reason, each door may vary in appearance and is completely unique. Every door is made by expert craftsmen and promises to be robust and incredibly sturdy. Many of the products from the new 2012 range can also arrive in glazed and fire door versions, offering customers a real peace of mind with every purchase. Force 8 is following Scandanavia’s lead by launching high-tech VEKA triple glazing: and during March is offering it at the same price as double glazing. There is now a solution to skyrocketing energy bills, as Stockport based window and composite stable doors manufacturer Force 8 is launching a range of triple glazed windows that will keep your heat levels up and your bills down. And as a special offer for March, it is offering these high-tech windows at the same price as its regular double-glazing. VEKA windows incorporate the latest glass technology, using plantitherm glass and argon-filled units to maximise insulation. The VEKA 70mm FS frame system can achieve U-values down to 0.6W/ m2-k – which in simple terms means a vast saving in heat loss per square metre of glass. “Triple glazing is the most energy-efficient window available today, and offers 40 per cent more efficiency than standard ‘A’-rated double glazing. When you fit Force 8’s new range of triple glazing you are installing the very latest product that the glazing industry has to offer,” said Dennis. Force 8’s triple-glazed windows are available in hundreds of different styles and in white or wood grain colours. “There are no compromises in terms of aesthetics or sight lines, weather performance or security, and the cost savings for our triple glazing can be up to 50 per cent less,” added Dennis. Force 8 also offers a comprehensive range of composite doors using the VEKA frames that can be fabricated with side panels or into arched frames. Force 8, the Stockport-based REHAU trade fabricator and composite doors specialist, has launched what it believes it the UK’s first round pivot window in the REHAU PVC-U profile system. Dennis Sumner, Managing Director of Force 8, said that he expects demand to come from both the retail and commercial sectors where the REHAU brand is so strong. The new round pivot window is a perfect demonstration of Force 8’s bending expertise, with eight bends in total used to achieve the perfect circle. The window is completely reversible through 180º which makes it easy to clean when necessary and it has security catches at the top and bottom to ensure the safety and security of users. Force 8 is offering the REHAU round pivot in diameters from 750mm to 1200mm and in white as standard. It can also supply in Mahogany, Rosewood or Golden Oak wood-grain, or in any one of REHAU’s coloured foiled finishes. 21 of the new REHAU windows have already been manufactured and supplied by Force 8 to Windoworld for installation in a local school in Portsmouth. The company’s bending expertise and efficiency means that all 21 windows were supplied in just two weeks; and the success of the project means that the company is now offering the windows as a standard product with a lead time of just one week. The round REHAU pivot windows join Force 8’s extensive portfolio of curved, arched, gothic and hexagonal frames, all available on short lead times and to bespoke designs. Further details are available via the website at www.force8.co.uk. UK composite door specialist Force 8 has signalled its intention to remain at the cutting edge of the UK’s window and door industry by continuing to release new, innovative products. The Stockport-based company has just unveiled its new line of arched composite doors, designed to provide customers and suppliers with an even greater range of options when it comes to choosing doors for homes and business premises. For more than 20 years Force 8 has been a major player in the replacement windows and doors sector, known across the UK for its seamless one-piece arched door frames. The company is also famous for its wide range of composite doors, capable of providing homeowners with an entrance that not only looks fantastic, is incredibly durable and has amazing insulating properties, but can keep a property safe thanks to its heavy-duty build. Every member of the team at Force 8 has now drawn on their knowledge and experience to create the latest range of arched composite doors. “This was a natural progression for the company, after we have pioneered the arched frame within the industry, along with the composite door, it was just something we had to do,” said Dennis Sumner, managing director at Force 8. “The new door design now enables the use of an arched frame in some areas without compromise on the design, and will give a far cleaner look to the finished project. The new range of doors from Force 8 is now available online, along with the company’s established ranges of composite front doors, fire doors and windows. Ever wondered if your conservatory roof has been constructed correctly or if it’s been built to last? Specialist roofing company Force 8 has constructed a full scale roof model in its Altrincham showroom so you can examine up close the sections and intricacies involved – and check for yourself if your roof is fit to weather the weather. Plus, if you do find you need help or advice, the team at Force 8 can provide the perfect solution to suit your individual needs and budget. As the roof is the part of the conservatory most exposed to the elements, it is most likely to deteriorate first. So having a new conservatory roof fitted or just replacing old conservatory panels can make a dramatic difference to your home, safety and comfort. Glass conservatories are most people’s preference as they provide clearer views than using alternative materials, and self-cleaning glass is ideal for those hard to reach places that need cleaning regularly. For new glass conservatory roofs Force 8 uses energy efficient glass from leading manufacturers Pilkington. And Pilkington Active Blue provides improved solar control and is more energy efficient. At Force 8, however, new conservatory roofs are available in both glass and polycarbonate. And new polycarbonate roofs with multi-chambered polycarbonate can give u-value as low as 0.5 w/(m²-k) and are available in a range of colours and depths. Whether you want to replace conservatory panels, just the components, or maybe you’d like a bespoke roof designed to fit your conservatory precisely, Force 8 can accommodate all your requirements. Plus, all its bespoke conservatory roofs are produced by leading conservatory roof manufacturers Ultraframe, so quality is assured. Have your dreams of letting the sun shine in on your house been dimmed? Does the light level in your conservatory make it seem more like a cellar than a greenhouse? If so, then one look up should reveal the source of your problems. It’s likely that your conservatory roof is past its prime, and needs replacing. And at Force 8 Windows and Doors, we’re ready to put the light back into your life by substituting your old and discoloured glass with sparkling, new, state-of-the-art panes which will actively repel the dirt, and make your conservatory a bright spot once again. A new conservatory roof, or just new panels fitted with the latest Pilkington Active Blue glass won’t just improve the look of your conservatory or garden room – they’ll make it feel like a completely new room. And the latest self-cleaning glass now available from Force 8 Windows and Doors will mean no more clambering to get to those awkward to reach areas to keep them sparkling. If you don’t want to be able to see the sky and the stars through your conservatory roof, but you still want to be sure of having the best possible protection from the elements, then Force 8 can also fit a bespoke new polycarbonate roof, from leading manufacturer Ultraframe. Letting the sun and the natural light into your home is one of the great joys of having a conservatory. But you also want your house to be protected from the worst the weather can throw at it. So whether you have a conservatory, or might just be thinking about having one fitted, you can weatherproof your house, and keep it safe as well as beautiful, with the latest composite doors, stable doors or fire doors from Force 8. The new stable door from Force 8 is revolutionary in design; the finish on the door makes it hard to distinguish it from a traditional timber door. The Stable Door is made in two parts either the whole stable door or just the top leaf can be opened. In this way, the entire door can be shut to retain heat in the winter, or in warmer weather, the top leaf can be left open to let in light and air whilst maintaining a degree of privacy and keeping in small children or pets. What makes the new Force 8 stable door different is that it’s fabricated in two complete half’s, with the rebate for the join built into the slab. This means there are no extra fittings needed, just the high security locking system, which include leaves with metal edges and five point locking system and two hooks. The stable doors come with adjustable hinges; the doors can be aligned horizontally and vertically so a perfect fit can be assured, particularly across the join of the two halves. The finish offers a stunning modern take on the traditional tongue and groove design, and like all Force 8 composite doors, they are constructed to the new building regulations, which require new doors to have a U-Value of 1.8w/m2k (1.6w/m2k in Scotland) or less! With this latest product Force 8 have establish themselves as one of the leading suppliers of composites doors in the country, and a force to be reckoned with. Part of their range includes a composite Fire Door, one of the first of its kind. The new series of doors has been designed and tested to the highest specifications (BS: 476 part 22: 1987) at the Warrington Fire Research Centre. The fire doors have been specialty designed for situations such as flats, shared entrances, or in domestic dwellings between the garage and house, where building regulations require an approved FD30 fire door. This gives the customer peace of mind, and specifiers a greater choice without having to compromise on style, and the new doors come with a full ten-year guarantee. The energy efficiency of a house can be dramatically increased by the installation of replacement windows. Homeowners must be aware of these five facts to find the options that will give them the most energy savings. 1. Shatterproof glass is becoming increasingly popular as it provides additional security against break-ins and severe weather. The glass is shatterproof because of a layer of plastic that is sandwiched between two glass panes. These are two to four times stronger than standard glass and are as energy efficient as low-E panes and help reduce noise levels. In some hurricane-prone areas, shatterproof glass is now required. 2. The R-value of replacement windows measures the resistance to heat flow. Homeowners will want to look for the highest number when it comes to the R-value because the higher the number, the more energy efficient the window. 3. The U-factor measures the rate of heat transfer from the inside of a house to the outside. Homeowners will want the lowest number possible for the U-factor because the lower the number, the more energy efficient the window. 4. The Solar Heat Gain Coefficient (SHGC) rating displays how much heat a house gains from the sun. The lower the SHGC, the less heat will be gained. Homeowners will need to decide what options would be best for their climate. 5. Light colored shades can reduce the solar heat gained through a window by up to 43% and awnings can reduce this by as much as 77%. These options should be considered for any home, but especially those looking at picture window replacement as these larger options will have a greater impact on the energy efficiency of a home. Statistically, there are two areas that can can be redesigned or renovated in order to increase the sale value of home. These are bathroom and kitchen remodeling projects. Even on a small budget and simple remodeling projects, there are investments that can be made to increase the return on house sale. The latest results from the National Association of Realtors estimated that over 72% of kitchen renovations can be recouped after a sale. Unless working on a strict budget, the kitchen can be extremely expensive. Homeowners will want to redesign with a broad spectrum of buyers in mind within their price point and their locality. There are a couple ways to find out the current trends. A homeowner can visit a local home supply store and inquire about the most popular brands and sales in the area. They can also browse through design magazines to see what current trends are in cabinets, wall color, styles and accents. When researching, homeowners should focus on kitchen remodeling ideas that fit well into the current community, rather than upgrading beyond the personality or value of the neighborhood. For instance, if the majority of the community is started homes, homeowners should not invest in granite counter tops, especially when there are many other more affordable options. New appliances are generally the most expensive items when redesigning this area of the house. By putting in a little let work, homeowners can find appliances in excellent condition for a discounted price. They should look at “scratch and dent” stores and online. Founder David Feinstein of Closets & Kitchens Van Go announced today that his company will be partnering with The Sliding Door Company to open a new joint showroom at 680 8th St, Suite 163, in San Francisco. Closets & Kitchens Van Go (http://www.ckvango.com) is an innovative kitchen and closet design/remodel company that offers a host of cabinetry for home and kitchen, countertops, and closet organizing solutions. Its mobile showroom services the entire Bay Area, offering consumers the convenience of finding high quality Bay Area kitchen and closet services locally. CK VANGO’s main office and manufacturing facility is in San Rafael, with affiliate locations throughout the Bay Area. Closets & Kitchens Van Go offers complimentary in-home consultations via their mobile showrooms. With the help of one of CK VANGO’s knowledgeable designers, clients can create their own kitchen or closet design, and fill it with all the right accessories to address their individual needs. Closets & Kitchens Van Go offers locally made cabinetry with quality craftsmanship, along with building & construction services for almost any type of home improvement project, all very competitively priced. Consumers will now have access to a wide variety of creative solutions for up-and-coming home improvement projects. The new joint showroom in San Francisco will allow potential customers to set private appointments with the showroom’s representative – Closets & Kitchens Van Go’s senior designer, Manon Demers. The official grand opening for the showroom is slated for May 5th, 2010. San Francisco kitchen design and Bay Area kitchen remodeling enthusiasts are encouraged to attend. Ken’s Yard, a new nationwide building supplies website selling over 30,000 well known branded products on-line has now gone live. Behind Ken’s Yard are three experienced and respected traders in timber and building products, Charles McLeish, Joe McConville – previous owners of MGM Timber, and Ken McLelland – former Regional Director of Buildbase (see notes to editors). The board has been strengthened further by the addition of Charles Shaw, Chairman of the hugely successful 5pm.co.uk and former Chief Executive of Invergordon Distillers plc and Andrew Sutherland former UK Financial Controller and Company Secretary of Keyline Builders Merchants. Aimed at the ‘serial’ project builder, self-builder and small building contractor in the UK and beyond, Ken’s Yard now provides the most comprehensive and competitive range of building supplies currently available on-line. These are supported by easily accessible advice from some of the supply industry’s most experienced, knowledgeable and professional experts. – Ken’s Yard currently sells 30,000 products which will rise to an estimated 45,000 in Phase 2. – Ken’s Yard sells the full HOPPE door furniture range from Germany, one of only a few suppliers to do so, and is the first to sell the complete Carron Phoenix range of kitchen sinks, taps and accessories. It also supplies the complete range of Kahrs hardwood flooring products. Other well-known brand names are already in the pipeline and will be added in Phase 2. This includes the full JELD-WEN joinery products catalogue and the full Velux catalogue. A unique building estimates service for extensions, refurbishments and new-build projects. This provides a massive timesaving for building professionals and enables them to get jobs costed quickly and accurately. This will initially be offered free as a launch ‘special’ to customers who spend £500 or more. – Ken’s Yard is the only UK based website where customers can upload a drawing, or enter measurements to obtain a quote. Ken’s Yard handles the entire ordering process and items like roof trusses will be delivered direct to site within 14 days. Ken’s Yard is an independent on-line building products company founded after extensive research by an experienced team who care about service. It is now ten months since the introduction of the new UK planning regulations that came in to effect on the 1 st October 2008 and here, ConservatoryLand, a major manufacturer and supplier of DIY conservatories report on the effects that they have had on the conservatory industry since then. David Bingham, director of ConservatoryLand says “I have heard reports from certain large conservatory roof manufacturers that the volume of their roof orders have increased but their sales revenue has actually decreased in 2009 compared to that of 2008. Taking the above criteria in to consideration, it is clear to see why some manufacturers of conservatories and conservatory roofs are thinking that consumers are being guided in to buying smaller conservatories and are blaming this for a smaller average order value. Here you can find more information about planning permission and building regulations requirements for conservatories. Sliding bi-fold doors have the advantage of providing full access to the garden or patio area, which means that on a warm summer’s day homeowners can literally open up their home to the sunshine, dramatically connecting the indoor and outdoor space. Bi-fold doors can replace an existing patio door in a house or form part of a new conservatory. The bi-folds’ amazing flexibility is seen in the various fold options, which make it easy to adjust the doors, depending on how much fresh air you require. Opening up to the largest 6.5 metres wide, bi-fold doors are certain to create a beautifully practical living space and ensuring circulation of healthy fresh air throughout your home. Conservatory Land uses the market leading Eurocell profile system to make the sliding bi-fold doors because it has the reputation as one of the best quality systems on the market. Conservatory Land also sources from Eurocell because it is a local company, based in Derbyshire that offers a full range of windows, conservatories and doors. Offering a full range means being able to provide customers a perfect colour between the windows, conservatory and bi-fold, which is a great way to create a real “wow factor”. Homeowners that choose bi-fold doors from Conservatory Land have been immediately impressed by the practicality and stunning aesthetics of the product. Because every home is unique, bi-fold doors are available in a choice of sizes, colours and woodgrain finishes. This extensive range of styles means that bi-fold doors can be individually selected to complement both traditional and contemporary homes. Exceeding the minimum requirement for construction, security, safety, weather-tightness and strength, bi-fold doors are a great way for families to enjoy their garden and patio areas – the wide open space they create makes it easy to both hear and see children in the garden. When fitted into a new conservatory, it provides a truly stunning addition to any home. Conservatory Land offers a wide range of high performance glass to ensure that your new bi-fold door, conservatory or windows provide you with an efficient and easy to heat home. Customers wishing to view its bi-fold door range, along with a wide selection of conservatories, will find a welcoming atmosphere in its new showroom on Old Mill Lane Industrial Estate, in Mansfield, Nottinghamshire.